Marketing is often about selling a brand than the product. Head to the mall and you will instantly recognize some iconic brand logos. Maybe you know the brand because your friends all love it, or maybe you keep seeing advertisements for the brand, or it could be because your favorite celebrities endorse the product. At the end of the day, it doesn’t matter why you know the brand. As far as a company is concerned, as long as its brand is instantly recognizable, its marketing department did its job. In apparel goods, this is especially important. Getting a top celebrity to publicly wear your clothing is so important that clothing companies are willing to pay the stars millions of dollars a year for endorsement. If you can convince a consumer that your brand stands for high quality and it’s cool to wear your products, then it’s a much easier sell. Today we look at such a well-known brand. Under Armour is a maker of apparel, footwear and accessories. Its focus is on performance goods in the area of athletics. This means that the company makes clothing and shoes specially design to be worn while playing sports or exercising. For example, Under Armour shirts are designed to feel comfortable on the skin despite sweat, and helps to regulate temperate. The company enjoys a good brand reputation and generally sells its products at premium prices. Its celebrity endorsers include Tom Brady, Stephen Curry, and Dwayne Johnson. The stock trades under the symbols UA and UAA. The difference is UA carries no voting rights, while UAA does. How Has Under Armour Stock Performed? It’s often a dangerous game to chase IPOs. Under Armour stock is a prime example. After its June 2015 IPO, the stock briefly reached more than $100 a share, but since then it’s down more than 80% from the peak. The company once looked like it was going to give Nike (NYSE: NKE) and Adidas (OTC: ADDYY) a good fight, but in recent years it has struggled with weak sales growth. It’s been hurt by poor product launches and shuffles at the management level. The company also took some bad PR when its CEO Kevin Plank joined President Trump’s business council and made some positive comments about the president. The action attracted negative reaction from some celebrity endorsers of its brands. Under Armour’s customer base is skewed toward the younger, more liberal, crowd, so the fear of repelling them was big enough that Plank took out a full-page ad to do damage control. The company seems to have tried to grow too fast and expanded to new product lines before it was ready. As a result, debt has ballooned and its brand seems like it was diluted. Consumers are confused by what the Under Armour brand stands for because it is present in some many product segments. While revenue growth averaged 27% from 2014 to 2016, the growth rate fell to 3.1% in 2017 and probably will only be around 4% in 2018 (final data not yet available). 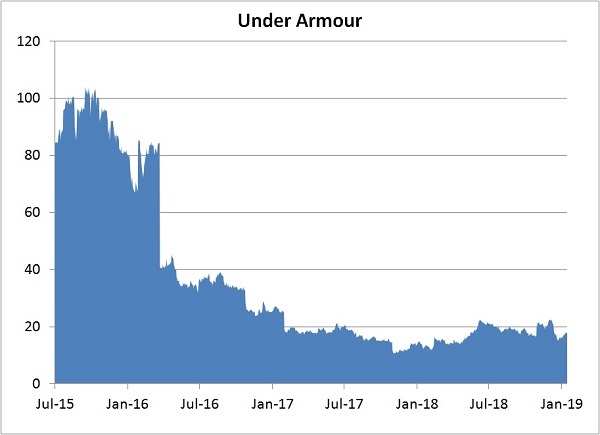 How Has Under Armour Stock Performed In 2017/2018? As you can see in the graph, Under Armour has greatly trailed both the market and its two largest competitors in 2017 and 2018. In 2017 it was in fact the worst stock in the S&P 500. It lost 50% in a great year for stocks in general. 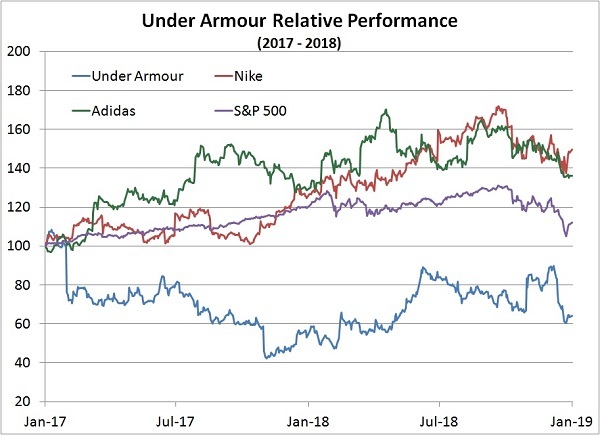 2018 was better for Under Armour stock but 2017 was so dreadful that the two-year relative performance still puts it at the bottom, by a wide margin. Consumer fashion tastes tend to change often. In recent years, appetite for “athleisure” has grown. Athleisure is wearing sports apparel for leisure as opposed to wearing them to actually play sports or work out (performance apparel). Sales of athleisure have grown while sales of performance apparel have fallen. Since Under Armour’s bread and butter is performance apparel, that trend is not favorable. The company tried to break into the athleisure market segment, but without much success. The move also diluted its brand. At the end of 2018 the company announced that it would refocus on performance goods. Basically, it was admitting defeat in athleisure. Who Are Under Armour’s Rivals? Nike is the clear Top Dog in sports apparel and shoes, with annual sales about 60% higher than the next-closest competitor Adidas and about 8-times greater than Under Armour. Nike’s secret lies in its masterful marketing. Nike has conditioned consumers to associate its brand with athleticism, power, and fitness, the qualities you want to be associated with sportswear. Ask yourself who do you know that doesn’t recognize the simple but iconic Swoosh logo? Who hasn’t heard of the tagline “Just Do It”? The Swoosh alone is estimated to be worth more than $25 billion. Nike sells more than products. It sells a lifestyle. 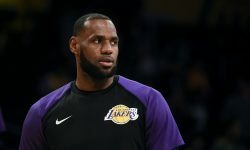 The decision to pay popular sports stars—such as Michael Jordan and LeBron James—to endorse its products has worked wonders. German company Adidas enjoys a pretty good branding image itself. Its “Impossible is Nothing” tagline is also one of the best-known among sporting brands. The tagline is taken from a Muhammad Ali quote. Ali endorsed Adidas. Adidas has done really well in footwear lately. It captured the athleisure trend and focused on making the shoes look good rather than performance. Overall, Adidas is still a clear Number Two behind Nike, but it’s putting up a good fight. In North America its rate of sales growth has been crushing Nike. A strategic shift toward casual street wear (part of the athleisure trend) really worked. Sales also no doubt got a boost from high profile reality TV stars the Kardashians and Jenners wearing them. Before crowning Adidas the new king though, we must note that Adidas’ North American sales are also only a third of Nike’s. When you are smaller, it’s easier to grow at a higher rate since the starting point is lower. Lululemon is another sports apparel company. The main differentiation is that Lululemon is mostly a women’s brand. It’s particularly known for fashionable yoga and running wear. About five years ago, the company’s image took a hit for faulty yoga pants that you could see through. Its founder (and former CEO) also attracted bad PR for the company by implying that the pants were see-through because its customers were too big. But the company has shaken off the negative PR. Sales have accelerated into better than 20% in the last twelve months. Lululemon sells almost all of its goods directly to customers from its own operated stores. As a result, it has more control over customer relationship. It has successfully built a large base of loyal customers. It has also done very well riding the athleisure trend. Will Under Armour Stock Go Up In 2019 (Should You Buy)? 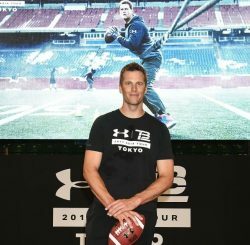 By refocusing on performance apparel, Under Armour showed that at least it wasn’t stubborn enough to keep tossing money at a losing battle in athleisure. It has a strong brand image in active wear, and investing to make sure that it dominates this market is not the worst strategy. Consumers are still willing to pay for Under Armour’s pricey goods because they believe in the brand. The company has been making changes to its supply chain to improve the time to market and to reduce costs. The moves should help to keep inventory fresh and be more responsive to changing fashion trends. It’s also focusing on increasing direct-to-consumer channels because it would have more control over pricing and how its brand is presented. The company eyes (as it should) international markets as the key driver for future growth. The company has made and continues to make investments abroad to support expansion. After three years of negative free cash flow, the company will broke that streak in 2018. If the company can make more disciplined investment, the returns should improve. Will Under Armour Stock Go Down In 2019 (Should You Sell)? The consumer trend toward athleisure is still a headwind. Under Armour was a late entrant to the trend and it just could not make much noise. The company still dominates the performance apparel space, but it’s a smaller market. More than 75% of its sales comes from North America, a mature market. Under Armour doesn’t have the scale or resources of the likes of Nike and Adidas, and in a highly-competitive market, it’s unlikely Under Armour could take much market share from them in areas outside of its core market. Overseas investments probably won’t result in meaningful bumps in the growth rate for another three or four years. Despite losing to Nike and Adidas in some areas, Under Armour’s brand remains strong. The company still wields considerable pricing power in performance wear and that’s a big intangible asset. The key to the stock will be whether the company can show improvements in satisfactory sales and margins now that it has reset its strategy. The shares are pretty expensively valued. UA trade at about 38-times projected 2020 earnings. For comparison, Nike trades at 25 times and Adidas at 18 times. Nike and Adidas look like better bets at the current valuation.